Ticket resale site viagogo must overhaul the way it does business to comply with a court order, secured after CMA enforcement action. 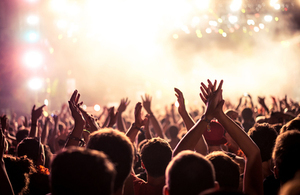 This development results from legal proceedings launched by the Competition and Markets Authority (CMA) in August over concerns that viagogo was breaking consumer protection law. It will also ensure that viagogo does not repeat historic failures to make its customers aware of the face value of tickets on sale through its site. This court order is a victory for anyone who decides to buy a ticket through viagogo. We have been clear throughout our investigation that people who use these resale websites must know key facts before parting with their hard-earned money, including what seat they will get and whether there is a risk they might not actually get into the event at all. viagogo has agreed to a comprehensive overhaul of its site to ensure it respects the law, just like the other resale sites who have already signed commitments to improve the information they offer and give people a fair deal. Today’s court order, which is a significant outcome for consumers, must be complied with by mid-January – the same deadline set for other resale sites that have already agreed to change their practices. It has been secured after viagogo agreed to address all of the CMA’s concerns, without the need for a trial. The order is legally binding and enforceable by the court. The order the court has agreed to make today will now ensure consumers’ rights are protected quickly, without the need for further legal action. The CMA continues to work closely with partner agencies and enforcers to drive up standards in the sector. Further information on the CMA’s work so far in this sector is available on GOV.UK. If viagogo fail to comply with the court order, the company could face a fine and/or certain individuals involved could face imprisonment. The courts, rather than the CMA, have the legal powers to issue a fine or send people to prison. The key pieces of consumer protection legislation relevant to the CMA’s investigation are the Consumer Rights Act 2015 (CRA), the Consumer Contracts (Information, Cancellation and Additional Charges) Regulations 2013 (CCRs), the Consumer Protection from Unfair Trading Regulations 2008 (CPRs) and the Electronic Commerce (EC Directive) Regulations 2002 (ECRs). As an enforcer under Part 8 of the Enterprise Act 2002, the CMA cannot levy administrative fines but it can enforce the above legislation through the courts, and where appropriate, obtain additional measures to improve consumer choice, drive better compliance with the law, or obtain redress for consumers. Media enquiries to the CMA should be directed to press@cma.gov.uk or 020 3738 6460.